Travel Tryouts will take place on Saturday and Sunday, September 1st and 2nd. Callbacks will occur on Tuesday, September 4th. 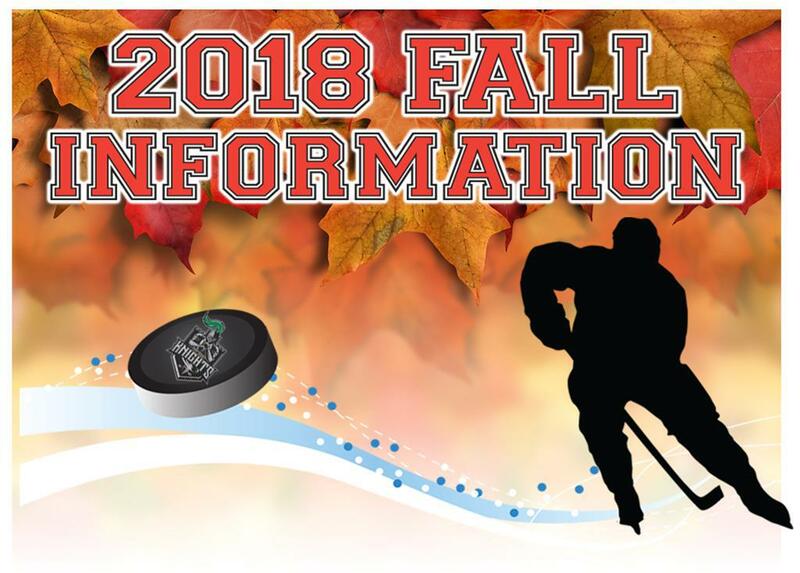 St. Jude’s annual Pre-Season Fall Focus Camps are a great way for your player to get back on the ice in August so that he or she is ready for the fall season when travel league try-outs and house league placements are held in early September. St. Jude's Hockey Directors and Coordinators have created an up-tempo and rigorous instruction plan to advance the skills of each player. Goalie instruction will be provided. St. Jude will offer a pre-season focus and assessment camp for all 8U mite players, regardless if they are pursuing travel or house programs. We have learned that at ages 8 and under, it does more harm than good to put these players in a formal, high-stress try-out setting where players are observed over only one or two sessions. The players perform much better when they are observed by directors and coaches over several station-oriented practice sessions with players of similar experience and skill. Directors and coaches will use the first camp session to place players into groups and may redistribute players throughout the duration of the camp to ensure that players are appropriately challenged and playing with and against players of similar skill and experience levels. The coaches will assess each player’s core hockey skills such as skating, stops, turns, crossovers, and stickhandling. At the conclusion of the camp, players will be ready to participate in the travel try-outs and/or house placements but their score will not be entirely based upon those 1 or 2 skates but rather their focus camp period. This gives the directors a better indication of the players ability and keeps the stress lower for the players. The cost of the camp is $300 and includes six sessions. Players who register by July 31st will receive an early-bird discount and will be charged only $275. Players who anticipate trying-out for travel-level co-ed teams that will compete in NIHL are encouraged to register for the Travel Focus Camp. The cost of the camp is $375 and includes six sessions. In addition, St. Jude will waive the travel tryout fee ($325) for all travel focus camp participants. If a player is not selected for a NIHL team, the player may also participate in all NWHL placement sessions at no additional charge. Players who register for the travel focus camp by July 31st will receive an early-bird discount and will be charged only $350. Please note that all NIHL Focus camp sessions can be held at Southwest Ice Arena or Oak Lawn Ice Arena. Participating in the Focus Camp is highly encouraged. Please note that Focus Camp fees can not be prorated. Girl players who anticipate trying out for any of St. Jude’s all-girls team are encouraged to register for the All-Girls Focus Camp. The cost of the camp is $375 and includes six sessions. In addition, St. Jude will waive the all-girls tryout fee ($325) for all All-Girls Focus Camp participants. If a player is not selected for an all-girls team, the player may also participate in all NWHL placement sessions at no additional charge. Players who register by July 31st will receive an early-bird discount and will be charged only $350.. Please note that all All-Girl Focus camp sessions can be held at Southwest Ice Are or Oak Lawn Ice Arena. Players who anticipate playing on a house-level team that will compete in the NWHL are encouraged to register for the House Focus Camp. The cost of the camp is $250 and includes six sessions. In addition, St. Jude will waive the house placement fee ($50) for all house focus camp participants. Players who register by July 31st will receive an early-bird discount and will be charged only $225. Please note that House Focus camp sessions can be held at Southwest Ice Arena, Oak Lawn Ice Arena or Morgan Park Sports Complex. St. Jude will place travel level teams in the Northern Illinois Hockey League at the Mite 8U, Squirt 10U, PeeWee 12U, Bantam 14U and Girls 10U, Girls 12U, Girls 14U and Girls 16/19U levels. To be considered for a St. Jude travel team, all players are required to attend tryouts. The cost of tryouts is free for participants of the St. Jude Travel Focus camps and $325 for players who do not participate in the St. Jude travel Focus camp. Any player who is not selected to a St. Jude NIHL team may participate in the NWHL placements at no additional charge. Please know that the St. Jude coaching staff makes every effort to be as fair as possible to all players during the tryout process and works hard to limit the stress and anxiety that is inherent in the process. That said, there is no such thing as a perfect tryout process and we understand that tryouts can be difficult on players, parents and coaches. We encourage you to sit down with your child before tryouts to talk about the process, to help calm his or her nerves, and to emphasize that your player’s performance during tryouts will not affect how proud you are of your son or daughter. Consistent with other area clubs, St. Jude's try-outs will be closed. As such, parents, siblings an friends will not be allowed in the rink during the rink during the try-out skates and will be required to wait in the lobby. St. Jude’s travel-level NIHL teams will be selected by evaluators including the hockey director and assistant hockey director and a small, selected group of coaches within our organization. Only those St. Jude coaches who are specifically asked by the Hockey Director to participate in evaluations should be in the observation room and those sections of the stands. St. Jude will place recreational house-level teams in the Northwest Hockey League at the Mite 8U, Squirt 10U, PeeWee 12U, and Bantam 14U levels. To be considered for a St. Jude travel team, all players are required to attend evaluation/placement skates. The cost of placements is free for participants of the St. Jude House and Travel and All-Girls Focus Camps and $50 for players who do not participate in any of those camps. St. Jude’s house-level NWHL teams will be selected by evaluators including the hockey director and assistant hockey director and a selected group of coaches within our organization. Please respect the process by allowing the evaluators to use the observation room and designated sections of the stands without interruption. Consistent with other area clubs, St. Jude's placements will be closed. As such, parents, siblings an friends will not be allowed in the rink during the rink during the placement skates and will be required to wait in the lobby. All first year Bantams (2004's and 2005's) must complete 2 hours of checking clinics BEFORE they begin play at the 14U level. This applies to both skaters and goalies on both co-ed teams and Girls teams. If your player is in their second year at 14U or completed the requirement in order to play spring, they do not need to do another 2 hours but are highly encouraged to sign up for the discounted fee to refresh their skills before the upcoming season. Checking Clinics will be run by St. Jude Hockey Director and Girls Coordinator along with additional St. Jude instructors. Proper balance and stance in order to receive a check and give a check. Using the boards to brace yourself when being checked. Proper angles to use when checking. Keeping head up and not ducking or leaning into the boards. This clinic is recommended for all 14U Bantams (2004 and 2005 birth years) and second year 12U Pee Wees (2006 birth years). Players will be paired up by size when checking. Cost of the clinic is $50 per player, $25 to repeat clinic if a player previously completed a St. Jude checking clinic. Step 1: All players must have USA Hockey Insurance to play hockey at St. Jude. No player will be allowed to play or tryout without proof of this insurance. To register for this insurance, visit www.usahockey.com. Once at the USA Hockey website, click on membership and then register online. Choose ice players & coaches and follow the directions on the screen. Step 2: On the St. Jude website, log in using your username and password. If you have not registered for a St. Jude program in the past, you will need to complete the steps for setting up a St. Jude account. If you do not remember your password, you can click the ‘forgot password’ link and enter your email address. Step 3: Select the programs and players you wish to participate and continue with payment for programs. 8U-14U age levels will have 3-5 hours per week of ice touches, including 20-24 games as well as playoffs. Two tournaments are included (additional tournaments are the responsibility of and at discretion of the team). Goalie specific training throughout the season. 10U-16/19U age levels will have 3-5 hours per week of ice touches, including 20-24 games as well as playoffs. Two tournaments are included (additional tournaments are the responsibility of and at discretion of the team). Goalie specific training throughout the season. 8U-14U age levels will have 2-3 hours per week of ice touches, including approximately 16 games as well as playoffs. One tournaments is included (additional tournaments are the responsibility of and at discretion of the team). Goalie specific training throughout the season. St. Jude is always looking for innovative solutions to help people make hockey more affordable. Here are a few ways to reduce your ice bill. The multiple player-family discount is applied to all lesser ice bills where the highest ice bill is paid in full. The discount is 10% of the lesser ice bill(s). Discount only applies to ice fees for the season. Please note: Players in Little Knight ADM/Learn to Skate programs are also eligible for this discount. Those who pay their bill in full at time of registration will receive a 3% discount on their ice bill. This does not include goalies, Little Knights ADM or Learn to Skate programs. 50% of all website ads sold will be deducted from your ice bill. The final deadline for submitting ads in January 1, 2019. Ad credits will be issued after the last payment has been posted. Please give all completed program/ad contracts and checks made payable to St. Jude Knights Hockey Club to your team manager or mail them to Southwest Ice Arena, Attn: St. Jude Hockey Organization. Should you have any questions, please contact Sue Peters at suerkp@aol.com. More information pertaining to the website advertising is provided on the St. Jude website. St. Jude members participate in a raffle fundraiser which will be explained in more detail later. Each family is required to purchase/sell $100 worth of raffle tickets at the day of rostering. 50% of all additional raffle tickets purchased will be deducted from your ice bill. Any credits earned will be issued after the final payment has posted. Many families have saved hundreds of dollars off their ice bill by purchasing additional raffle tickets. For more information regarding the raffle, please contact Tammy Moro at tmoro3@att.net. At the discretion of the Board of Directors, St. Jude may award volunteer service credits to members who provide outstanding service to the club. For more information, please contact AJ Hernacki via email at alexhernacki@gmail.com. USA Hockey has made it mandatory for each player and coach to purchase their USA Hockey Insurance on line. Insurance must be purchased and receipt provided to St. Jude no later than August 31. No player will be allowed to participate in Travel Tryouts or House Draft without the proof of Insurance receipt provided by USA Hockey. USA Hockey insurance must be purchased by Visa, Mastercard, American Express or Discover card. No player will be allowed on the ice after August 31 without proof of USA Hockey Insurance. Absolutely NO exceptions! !